Viknesh Vijayenthiran October 28, 2015 Comment Now! 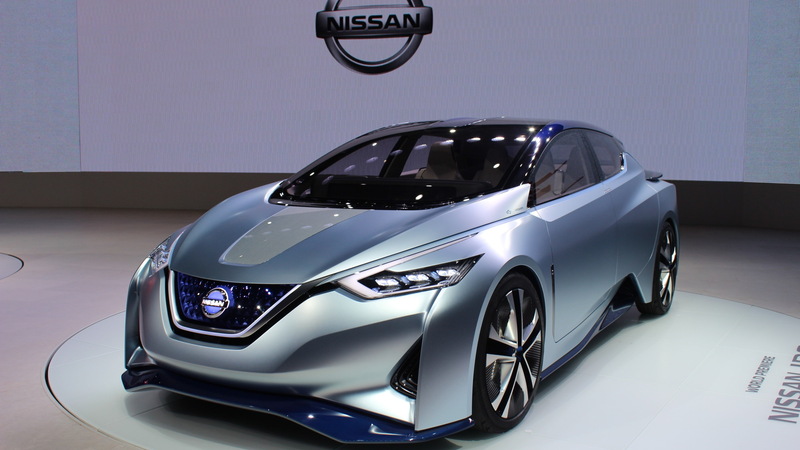 Nissan has a handful of concepts on show this week at the 2015 Tokyo Motor Show, one of which is a small electric hatch that may just preview some of the styling and technology bound for the next-generation Leaf. 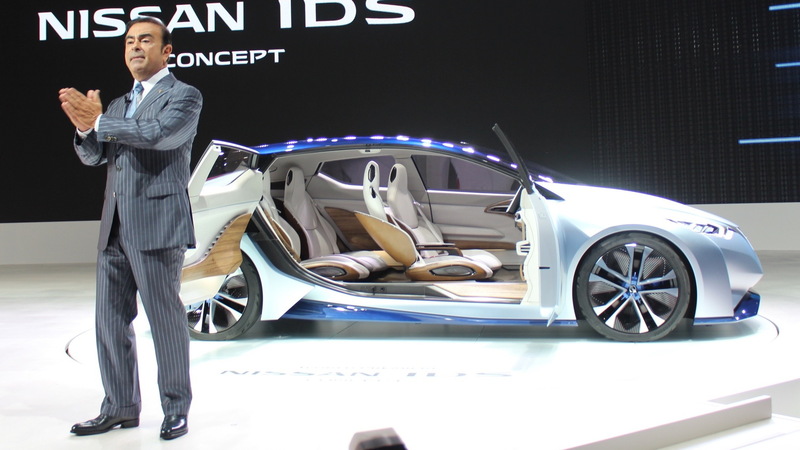 The new concept is called the IDS, and Nissan says the futuristic five-door hatch is the embodiment of its vision of the future—where cars produce zero emissions and are capable of driving autonomously. 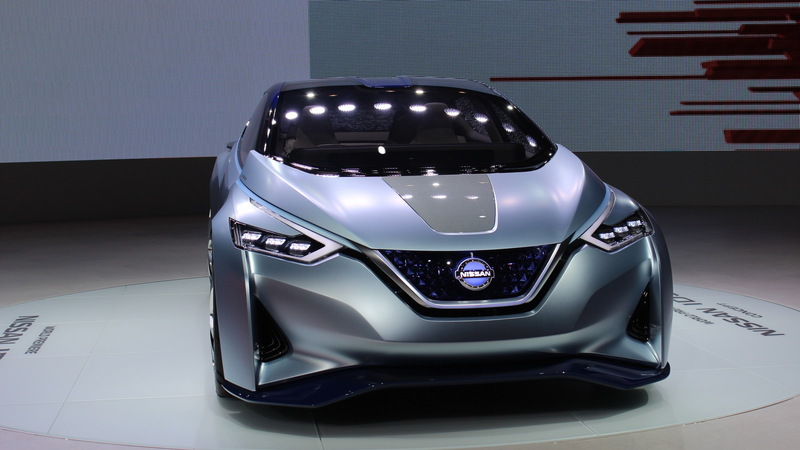 Nissan is keen to stress that the future doesn’t have to be dreary, at least for drivers, as the driver will be able to choose whether he or she wants to do the driving or whether they’d prefer to pass the task over to the car. And to keep things interesting, Nissan’s autonomous driving system, known as Piloted Driving, will be smart enough to learn the driver’s style of driving and imitate this. And the car will be able to communicate to its owner, too. Previewed in the IDS is an AI communication system which can provide info on upcoming traffic conditions, the owner's schedule and even personal interests. When the driver is in control, the interior transforms so that all seats face forward. But when Piloted Driving is switched on, the cabin becomes even more spacious and the seats—all four of them—rotate towards each other to create a lounge-like feel. In this mode, the steering wheel recedes into the center of the instrument panel and a large flat screen comes out for entertainment of work functions. 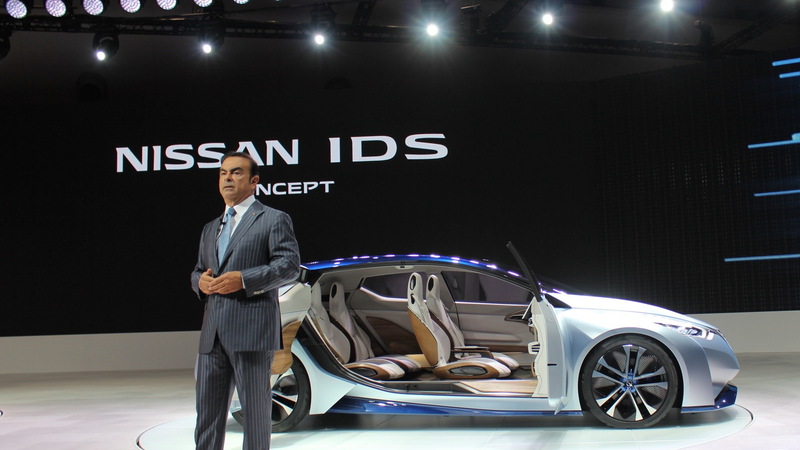 But could the IDS be a preview of the next Leaf? 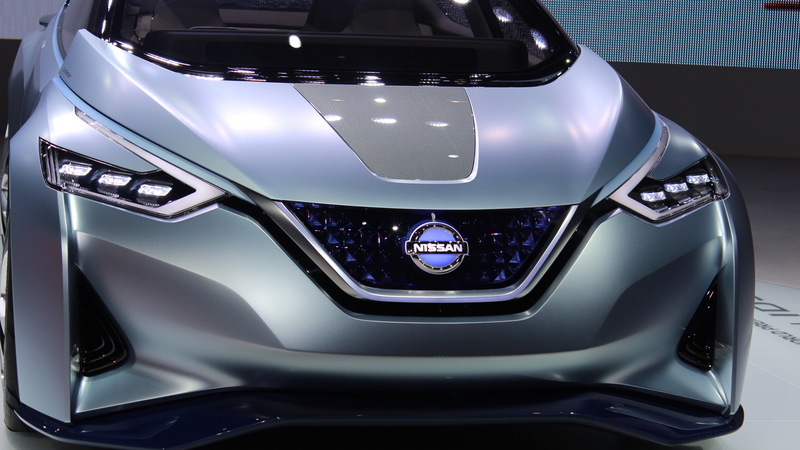 The concept wears all the latest Nissan styling themes, such as a V-shaped grille, arrow-like headlights and a split C-pillar. There’s also an electric powertrain that incorporates a powerful electric motor and a 60-kilowatt-hour battery back. As for the next-generation Leaf, the new electric car is due out in calendar year 2017 and may end up spawning a family of models, just like Toyota’s Prius. Finally, expect the driving range to be higher than the 107 miles that the latest 2016 Leaf offers. For more Tokyo Motor Show coverage, head to our dedicated hub.